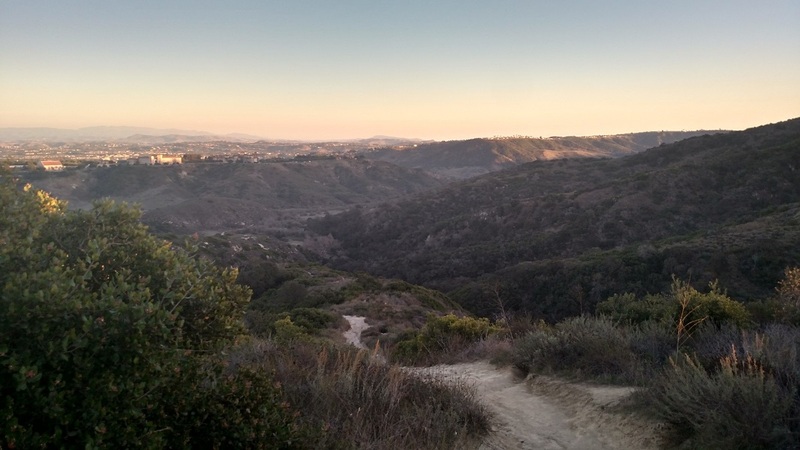 Location: Western end of Aliso & Wood Canyons Wilderness Park at Alta Laguna Park, Laguna Beach. From I-405, take the highway 133 exit south for 8.5 miles. Turn left on Forest, which becomes 3rd St, and after 0.3 miles total take a left onto Park Ave. Go 1.8 miles on Park to its terminus in Alta Laguna Drive, and head left, and park at the end of the street. 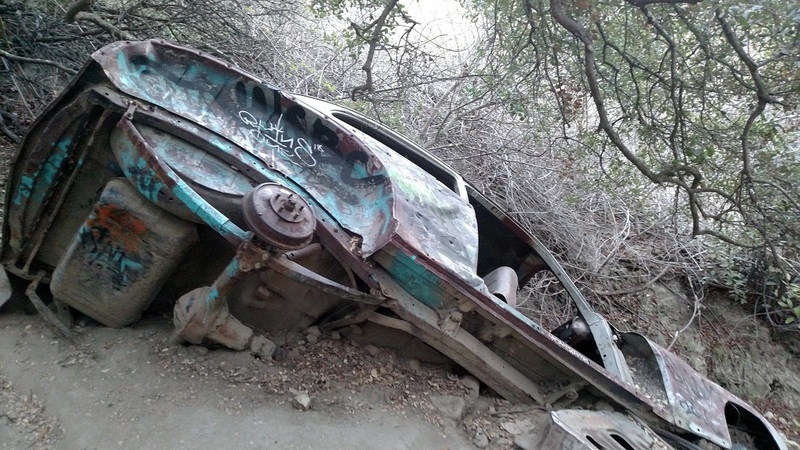 The remains of what is believed to be a 1946 Dodge coupe in a wooded hollow on the western slope of Wood Canyon have long been a popular attraction among Orange County hikers (and mountain bikers) with a taste for the macabre. How it ended up there is unknown, although many theories abound. The wreck can be reached by a short but steep “reverse” hike from the West Ridge trail head. 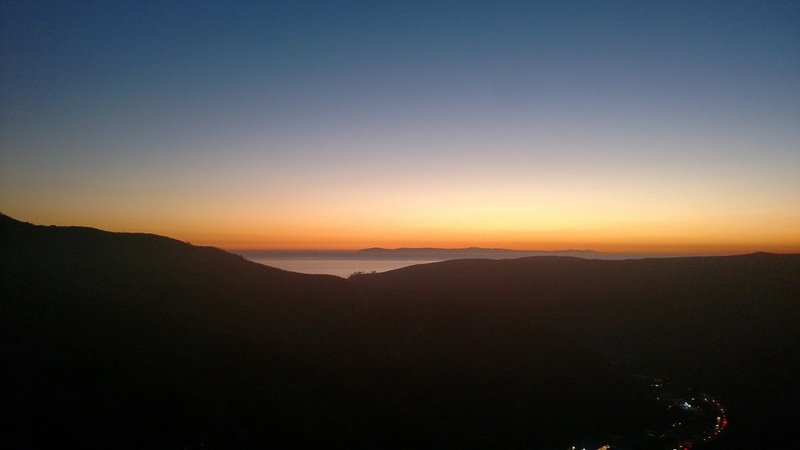 Begin by following the West Ridge Trail north for 0.5 mile, enjoying views of Old Saddleback in the distance, Laguna Canyon on your left and Wood Canyon on your right. Leave the West Ridge trail for the Mathis Canyon Trail and in 0.1 mile, bear right on the Car Wreck Trail. The Car Wreck Trail starts out innocently enough, skirting the rim of the canyon for 0.2 mile before beginning its precipitous descent. In the next 0.4 mile, the trail drops about 500 feet over exposed, loose and often rocky terrain. The wreck itself comes into view just as the trail enters woodland, 1.1 miles from the start. Beyond the wreck, the trail crosses a tributary of Wood Canyon and heads deeper into the woods. A bench 0.1 mile beyond the car wreck is an ideal spot to rest for the steep climb out of the canyon. 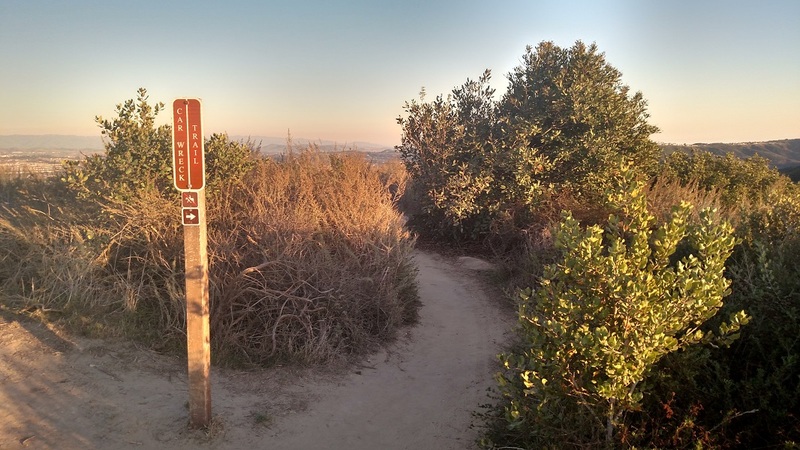 A longer but less steep return option is to continue downhill (the Car Wreck Trail soon becomes the Oak Grove Trail) and return via the Mathis Trail.